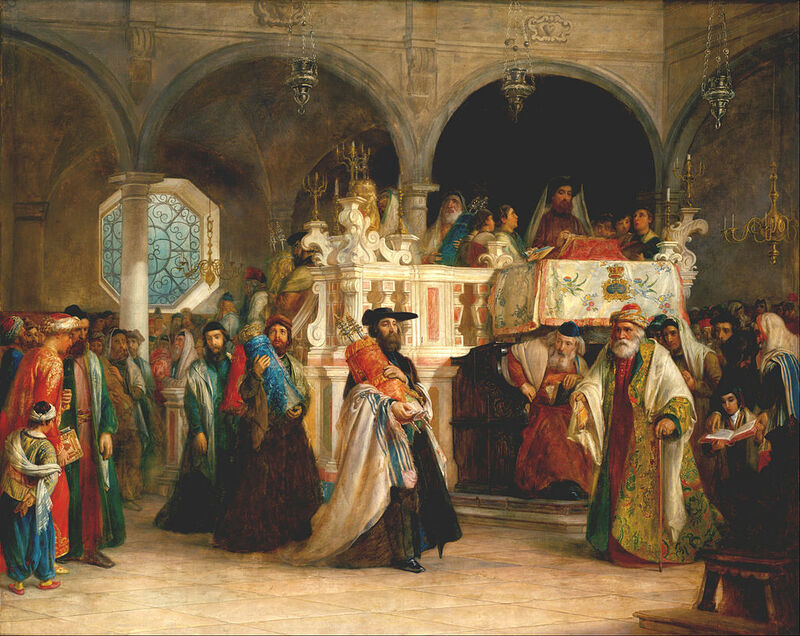 The tradition of choosing two men each year as Hatanim (bride grooms) for Simchat Torah is relatively recent. For example, the first mention of immediately starting to read from Bereishith after completing the reading cycle of veZot HaBerakha, only occurs in times of the Shulkhan Arukh (1565). Prior to that the main focus dating back to the 1st century was on dancing 7 Hakafot . Among them, the Hatan Torah has the honour of being called up to finish the reading of the Torah, and the Hatan Bereshit to read the first part of the Torah immediately afterwards. These are distinguished honours given to members of the community who with their wives and family have been actively involved for the betterment of the community. In the Rambam Sephardi community, each of the Hatanim have the right to choose a Shushbin (best man) to accompany them through their tasks on the day. Additionally, our community continues to celebrate the hatanim also on Shabbat Bereishith.